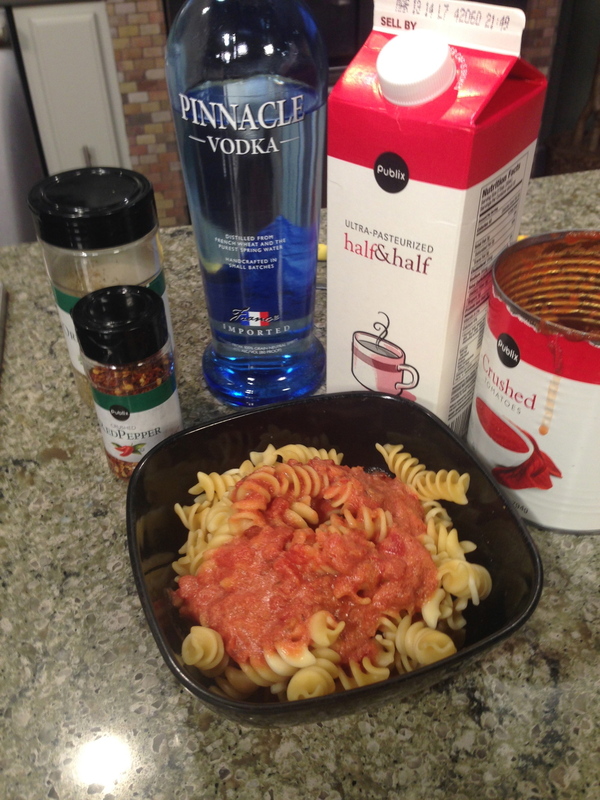 Watch Aimee making this easy vodka pasta sauce! Vodka pasta sauce sounds so rich and wonderful, and it is! But it can be so simple and enjoyable! A few years ago in New York, I fell in love with this delicious pasta dish that had a vodka pasta sauce on it. I came home and started playing around and came up with this easy version. No need to travel to New York OR Italy to enjoy this dish, yourself! In a large, deep sauté pan, heat the butter and olive oil over medium heat, and add the onion. Cook until the onions are soft, then add the vodka. Allow this mixture to reduce, then add the tomatoes, oregano and crushed red pepper flakes. Stir well to combine and bring to a boil. Reduce the heat and add the half and half. Stir well then cover and allow to simmer for at least 15 minutes. Serve over your favorite cooked pasta and enjoy!